The owner of Gladys Bikes is such a treat to work with. Whenever I suggest a kind of shoot that we haven't done before, she always enthusiastically goes for it. 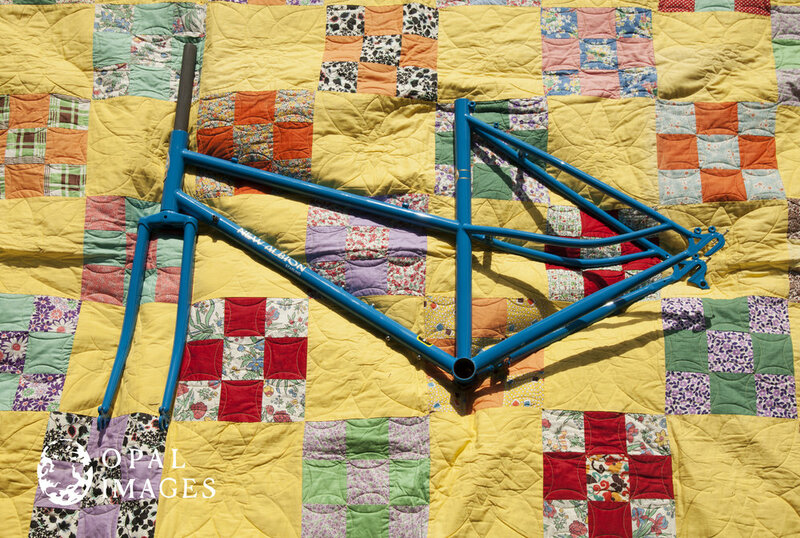 Custom bikes are a huge part of their business (I have one of my own and I am in love with it), but designing your own bike can be really daunting if you aren't familiar with the mechanics of how bicycles work. To get around that, I suggested that we do a shoot where we isolate all the different parts of a bike that can be customized, but at the same time I wanted to stay authentic to their brand. My solution was to go to the nearest park to the store front and have ourselves a custom bike picnic! Leah (owner of Gladys Bikes) brought her favorite picnic blanket, and the results can only be described as "adorkable." See for yourselves below!